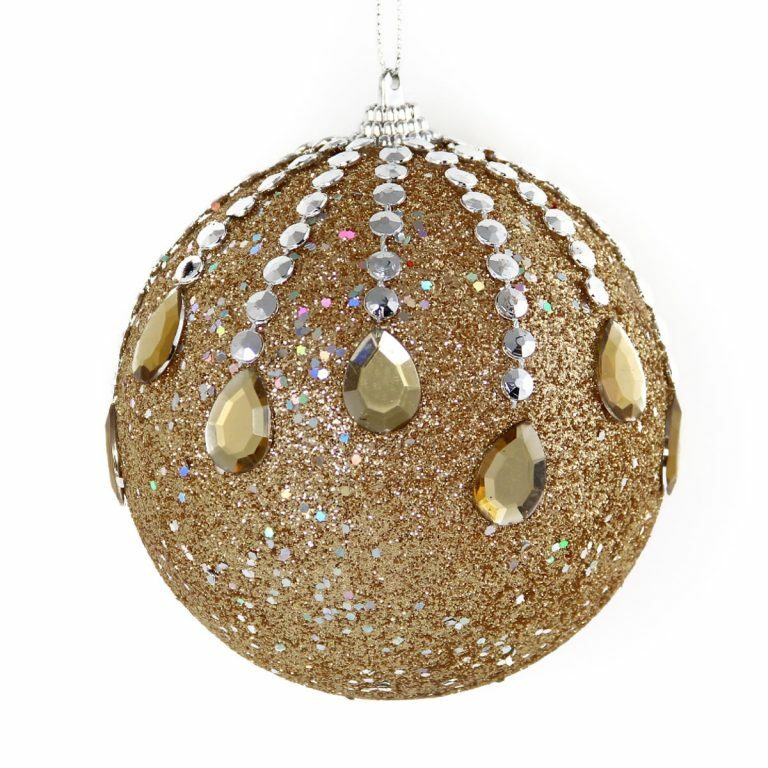 Each clear, plastic package of these Silver/Gold Olives contains six quality baubles, approximately 13cm in height. Gentle twists of glittering gold are joined with the flash and shine of chrome-like silver to create an elegant and chic pairing this holiday season. The prefabricated silver-tone hanger on top of each soft and subtle onion will make it convenient and handy to hang or secure these onions wherever you want them to be. 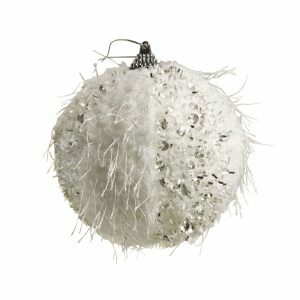 Add them to your traditional Christmas Decorations, such as on the tree or a wreath, or give your home a sophisticated makeover this Christmas with metallic shades, including these glamourous onion-baubles! 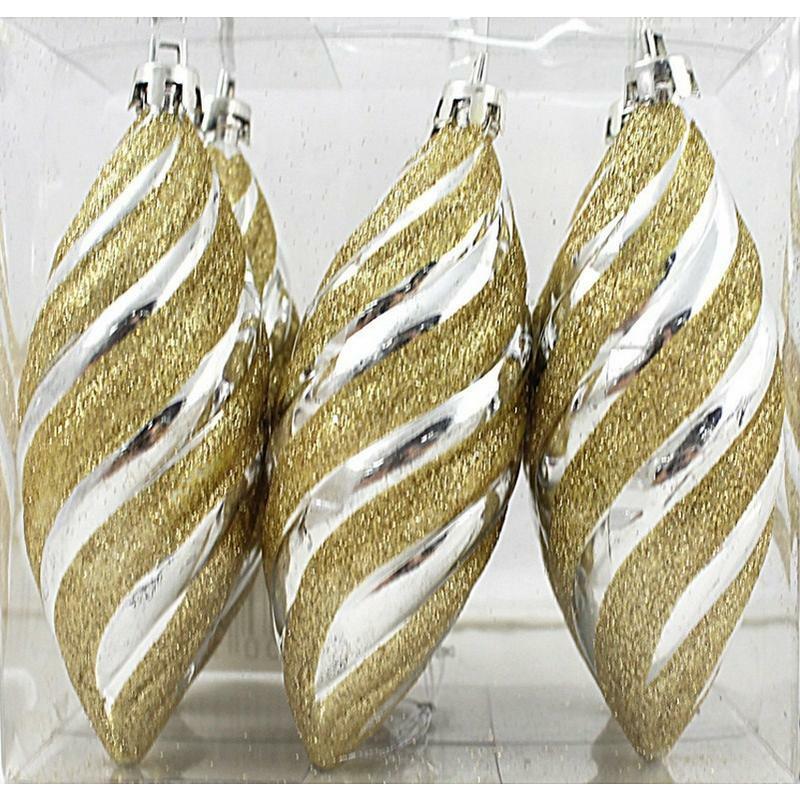 These would make an impressive accent to add to a festively-wrapped holiday gift; simply tie the hanger to a ribbon or cording to add something extra to the package that also makes bows moot! 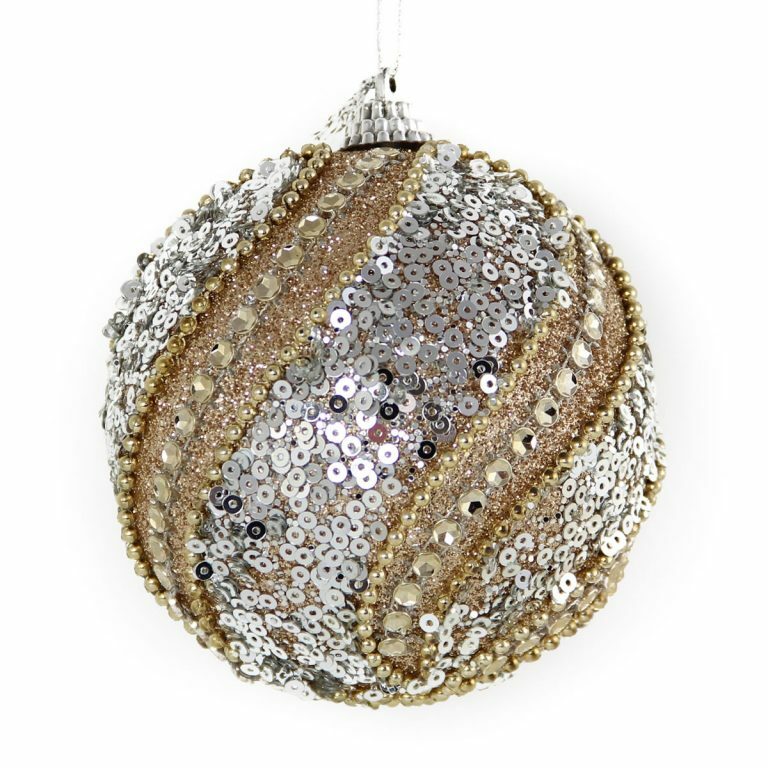 These are versatile, stunning, and non-breakable, which means you may enjoy them for many holidays to come.